Believe it or not, cats can be trained! And now, thousands of shelter cats across the country are being taught ‘Cat Daddy’ Jackson Galaxy’s Cat Pawsitive techniques – including the “high-five” to decrease their stress, increase engagement, and most importantly, make them more adoptable! 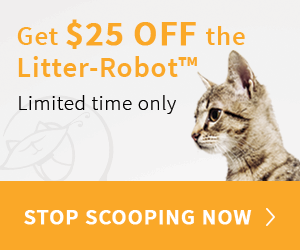 And now you can teach your cat this cool trick – and get a chance to win thousands of dollars for your favorite shelter! 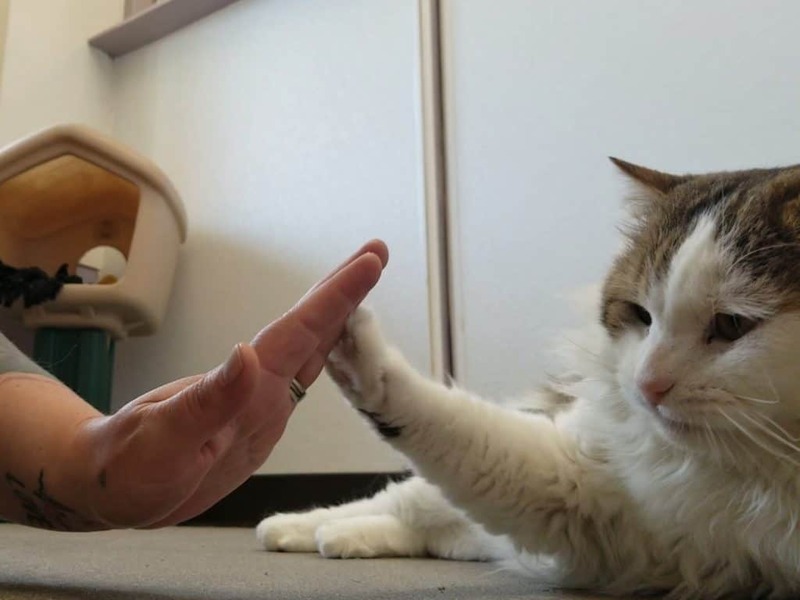 To celebrate the success of The Jackson Galaxy Project’s (JGP) life-saving Cat Pawsitive programs, GreaterGood.org and Jackson Galaxy announce the 2nd annual Cat Pawsitive National High-Five Day Contest. 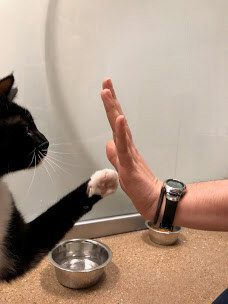 From April 18 (National High-Five Day) until May 16, cat lovers are invited to share their most creative feline high-five images and videos at felinehighfive.com, for a chance to win cash grants for their favorite animal shelter/rescue and an invite to celebrity pet Lil BUB’s birthday party with Jackson Galaxy. 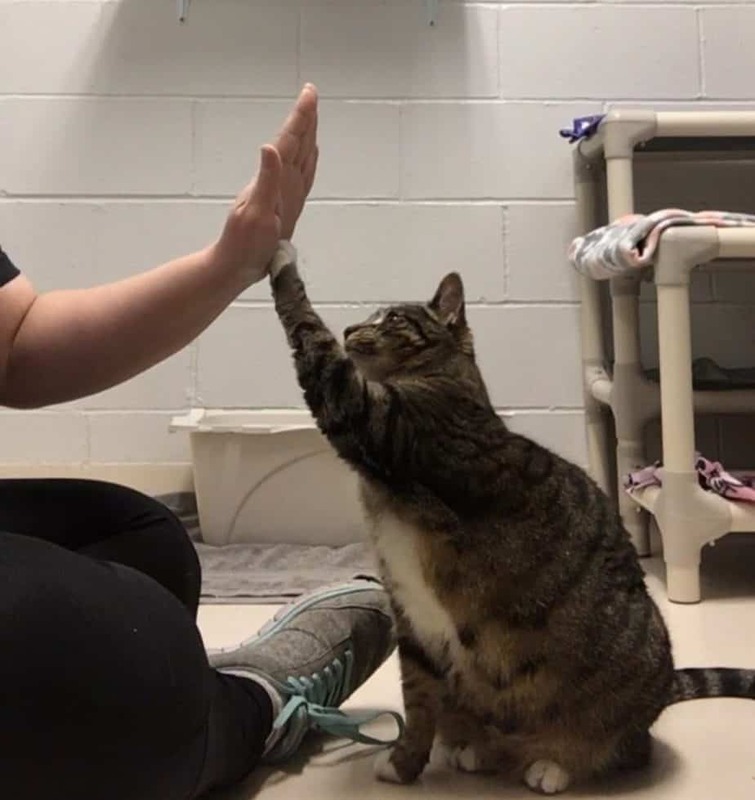 Cat Pawsitive is a life-saving program for shelter and rescue cats that aims to increase feline adoption rates by instructing shelter/rescue staff and volunteers how to implement positive reinforcement training for cats, that includes teaching them to high-five. Jackson Galaxy, star of the television show “My Cat from Hell” on Animal Planet, NY Times best-selling author and founder of JGP, developed the Cat Pawsitive program with a team of feline behavior experts in an effort to enrich the lives of cats in shelters and rescues to improve their wellbeing and adoptability. Jackson Galaxy will select the top 25 High-Five entries for the public to vote on from May 20 – June 2. The top three entries with the most votes will be announced on June 3. The grand prize is a $5,000 cash grant to an animal shelter/rescue of the winner’s choice, and an invitation (+1 guest) to Lil BUB’s birthday party in Los Angeles with Jackson Galaxy. Second place is a $3,000 cash grant to a shelter/rescue of the winner’s choice and Third Place is a $2,000 cash grant to a shelter/rescue of the winner’s choice. Here’s how to teach your own cat to high five so you can enter! 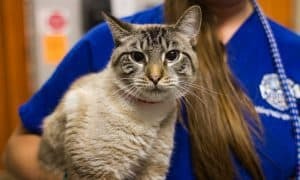 To date, 107 animal welfare organizations have graduated from the Cat Pawsitive programs, resulting in more than 1,000 homeless cats being adopted into forever loving homes. Contest participants can download step-by-step instructions to teach the feline high-five and review the complete contest terms and conditions at felinehighfive.com. The Jackson Galaxy Project, founded in 2014, is a Signature Program of GreaterGood.org, a public 501(c)(3) nonprofit organization. 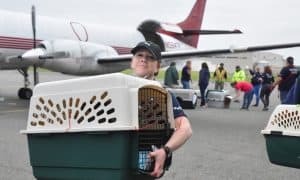 The Project is the realization of Jackson’s long-standing dream of improving the lives of animals at risk and helping the people who care for them. GreaterGood.org is a 501(c)(3) charitable organization that works to improve the health and well-being of people, pets, and the planet. Over the last 11 years, GreaterGood.org has given over $175 million in cash and in-kind grants to over 3,000 charitable partners worldwide. To learn more, visit GreaterGood.org. 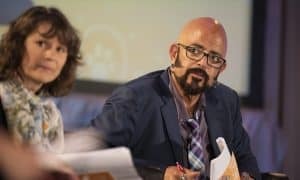 Popularly known as “The Cat Daddy,” Jackson Galaxy is the host and executive producer of Animal Planet’s long running hit show “My Cat From Hell.” Jackson, an animal advocate and cat behavior and wellness consultant, is also a two-time New York Times best-selling author with more than 25 years of experience working with cats and their guardians. He is on a mission to educate people about cats and deepen the human and cat bond, while reducing the number of animals that end up in shelters.